Place an order for genuine Ford or Lincoln auto parts from the comfort of your Baton Rouge, Louisiana home with help from All Star Ford Lincoln in Prairieville! We've introduced a secure, user-friendly online form that allows all drivers in the Gonzales area to easily get their hands on quality components at affordable prices. Be sure to check out our current parts specials before submitting a request! You can choose to order the part and install it yourself, or you can request that our factory trained technicians get your items into your Lincoln MKS. Should you choose to have our professionals assist, many products come backed by a comprehensive factory warranty! Place your genuine part order online now and contact us should any questions or concerns arise as you work through our secure form. 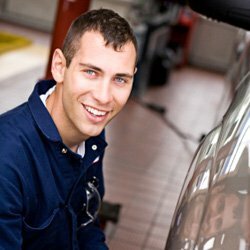 Our professionals are well-versed on the entire Ford and Lincoln lineup, as well as a range of other makes and models, so feel free to let us know about the work you're planning to complete. We can help ensure you're requesting all the products you'll need to complete the work safely. Give your Ford Mustang the quality replacement parts that it needs in order to run smoothly and up to its factory standards, place a genuine part order with All Star Ford Lincoln today!